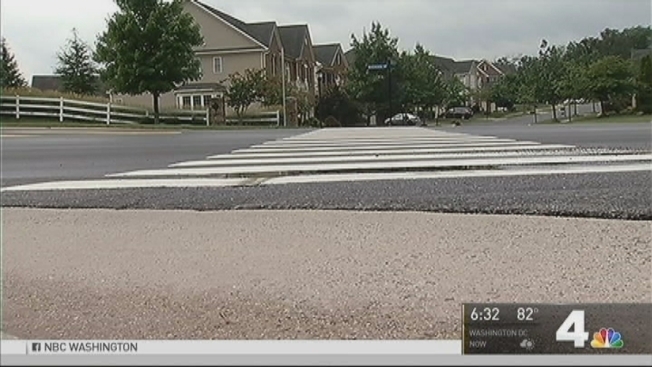 Road Safety Concerns in Area of Baby's Death in Va.
A 5-month-old baby has died and his mother was seriously injured after they were struck by a vehicle Wednesday morning in Loudoun County. The mother was pushing her son in a stroller in a crosswalk on Riverside Parkway in Landsdowne, Virginia, after dropping another child off at school when they were hit just after 8:15 a.m., a Loudoun County Sheriff's Department spokesman said. Ramya Praveen heard the crash from about a block away and witnessed the aftermath of the crash. "Someone was trying to give CPR to the baby. He was staring," Praveen said. "The mom... she was screaming. She couldn't move. She couldn't move. She was screaming. She was hurt." A 5-month-old baby has died and the baby's mother was seriously injured after they were struck by a vehicle Wednesday morning in Loudoun County. 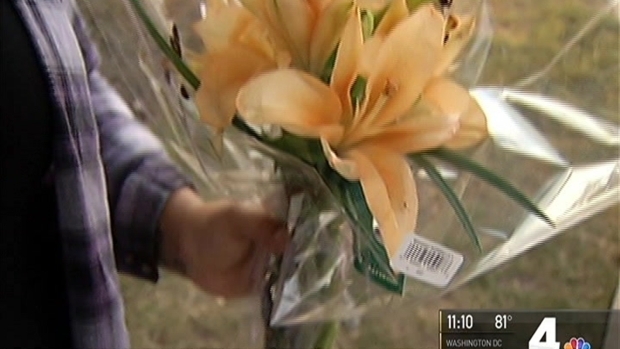 News4's Megan Mcgrath has more on how the community is paying their respects. Both the woman and her baby were taken to a hospital for treatment. The boy died. His mother is in stable condition. Authorities closed off the roadway while they investigated. The vehicle stayed on the scene. The sheriff's office and commonwealth's attorney are determining whether to charge the driver. "The intersection as far as we can tell is constructed well," said Loudoun County Sheriff Mike Chapman. 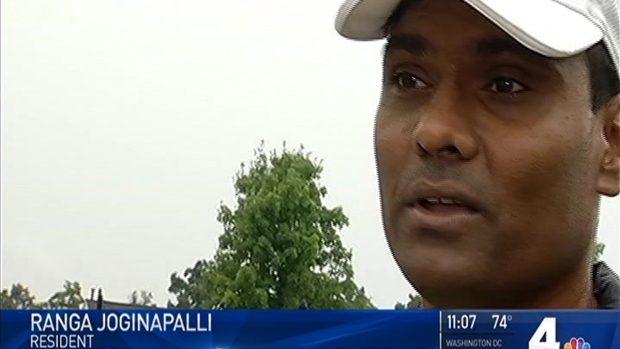 "It's just apparently just a tragic set of circumstances this morning." However, residents have faced safety concerns in Lansdowne before. In 2013, News4 captured video of kids struggling to cross the street to Belmont Ridge Middle School. Since then, roundabouts have been installed to slow drivers, as well as more crosswalks. A 5-month-old baby has died and the baby's mother was seriously injured after they were struck by a vehicle Wednesday morning in Loudoun County. But some commenters on Facebook say Riverside Parkway is a problem. "Cars fly down the hill too. It's an overall bad intersection," one person wrote. Another posted,"...[T]his screams for more awareness and safety protocols being set in place." “Even if a driver is attentive, the visibility may not be what it should be," said Loudoun County Supervisor Ralph Buona (R), who oversees the community. He said he’s talked with the Virginia Department of Transportation several times to discuss possible changes. 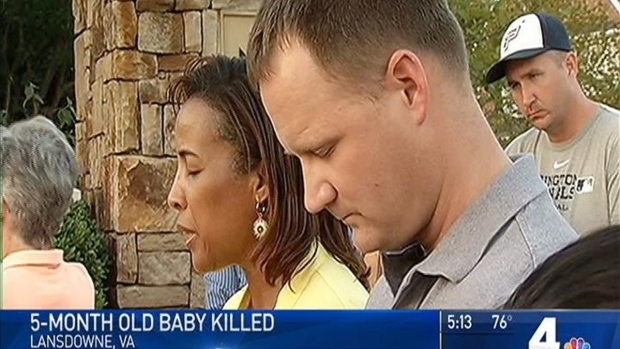 Neighbors gathered to pray for the family of a baby who died Wednesday after a vehicle struck a woman pushing a stroller in Loudoun County. The mother is seriously injured. News4's Shomari Stone reports. Residents in the area say proposed changes may not have prevented this tragedy but could prevent another one. “It’s scary how many near misses there’ve been, I’ve had, other people that I know have had in the neighborhood,” said 12-year Lansdowne resident Beverly Smart said. “We’ve got to do something to get the driver’s attention, and part of it is also a driver education issue,” Buona said.